“Carousel Opens on the Mall,” Histories of the National Mall, accessed April 22, 2019, http://mallhistory.org/items/show/197. 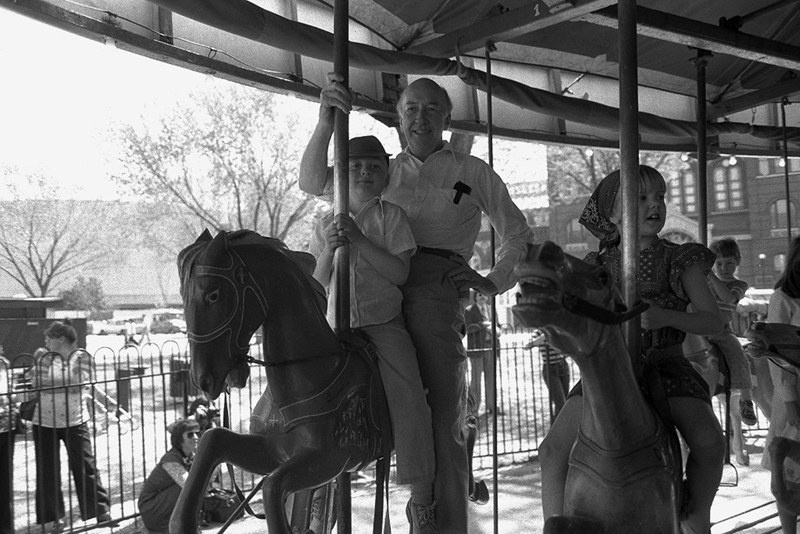 On April 12, 1967, a classic wood merry-go-round with 33 animals and 2 chariots moved to the National Mall near the Smithsonian Arts and Industries Building. Rides cost 25 cents apiece. In 1981 museum officials replaced the worn-out merry-go-round with the present, larger carousel, a 1947 vintage model with 60 horses. Music for the first merry-go-round came from a Wurlitzer band organ with wooden pipes and bellows. Today the carousel’s music wafts from a CD player.